Little Miss turns 4 next month, yes 4, I cannot believe it. My baby girl only has another year before starting school. She may seem at times that she is 3 going on 13 but, oh my what a fun age three has been and heres to many more adventures with her as a four year old. 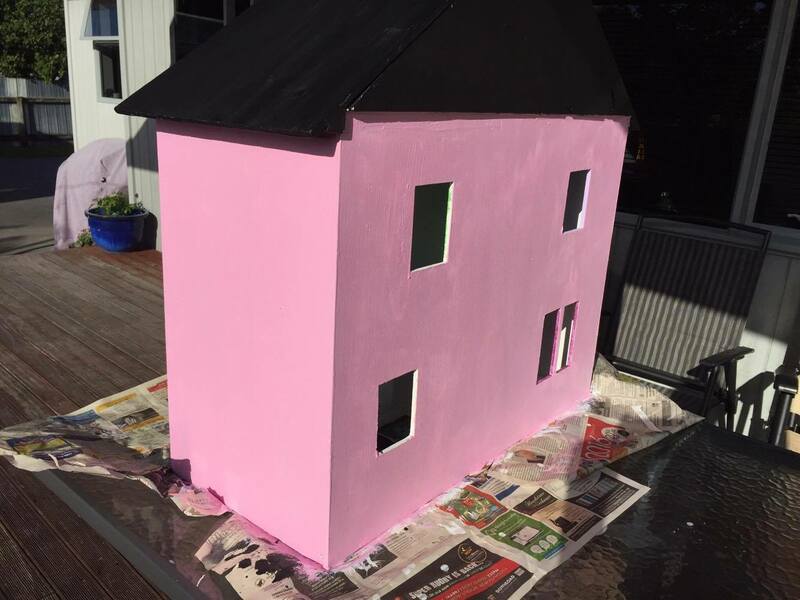 A little while ago I shared a photo on Instagram of a dolls house I bought off a friend, that I was intending to ‘do it up’ in time for Little Miss turning 4 at the beginning of June. Little Miss LOVES a dolls house. I have observered her play with one at playcentre, as well as ones that have been at her friends house. I just know this gift will be perfect for her. Before shot, I wasn’t keen on the wallpaper, so off it came. 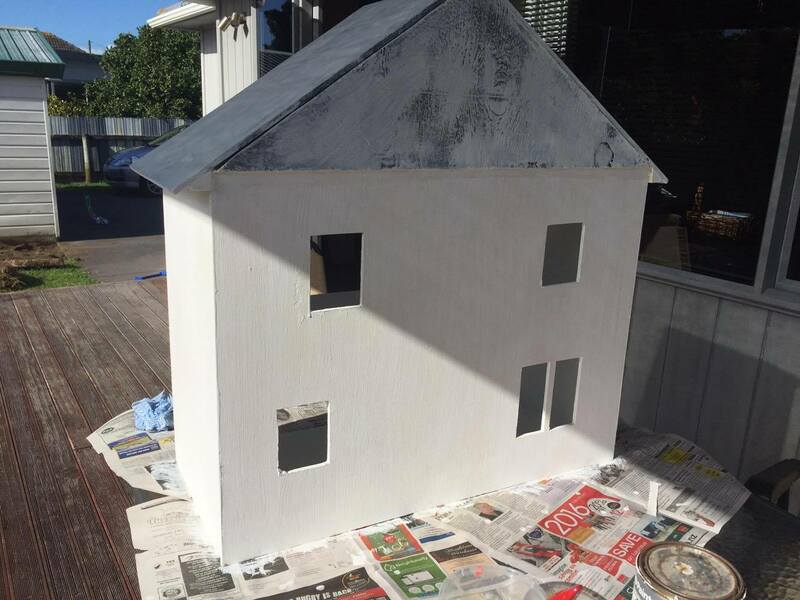 After a coat of undercoat, luckily we had a tin in our garage! Unfortunately due to the size of our home (and the dolls house) I have been unable to hide it from her. She is aware it is for her birthday and appears to be happy to wait for that day so she can play with it. I immediately went into ‘planning’ mode. 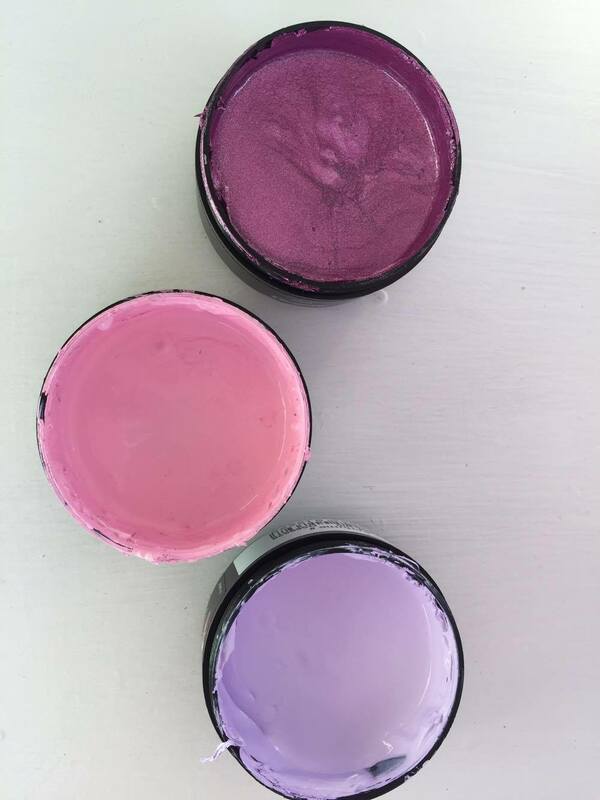 I decided I would paint some of the walls, making it pink and girly, as I know Little Miss would love that. I was also keen to use some of my scrapbook papers (I have a decent collection!) to decorate the walls and maybe the floors? 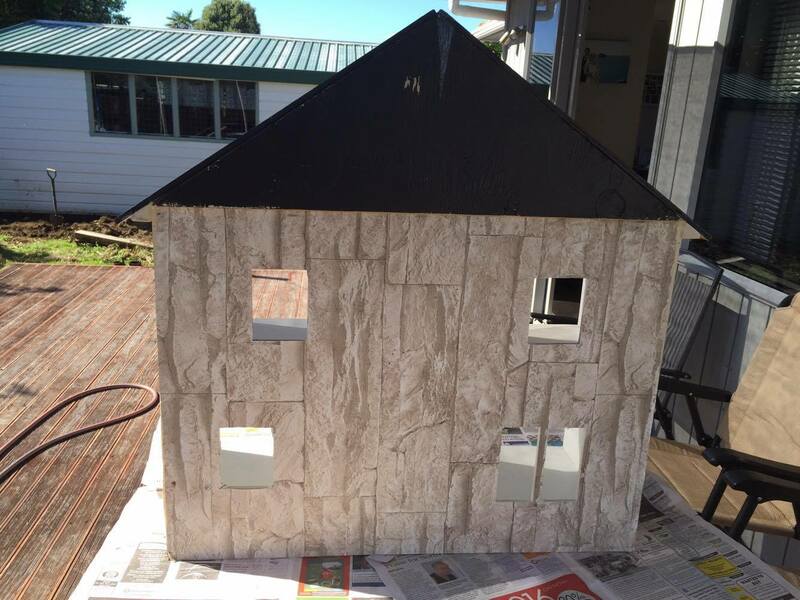 I thought it would be good to keep the roof dark, maybe black????? 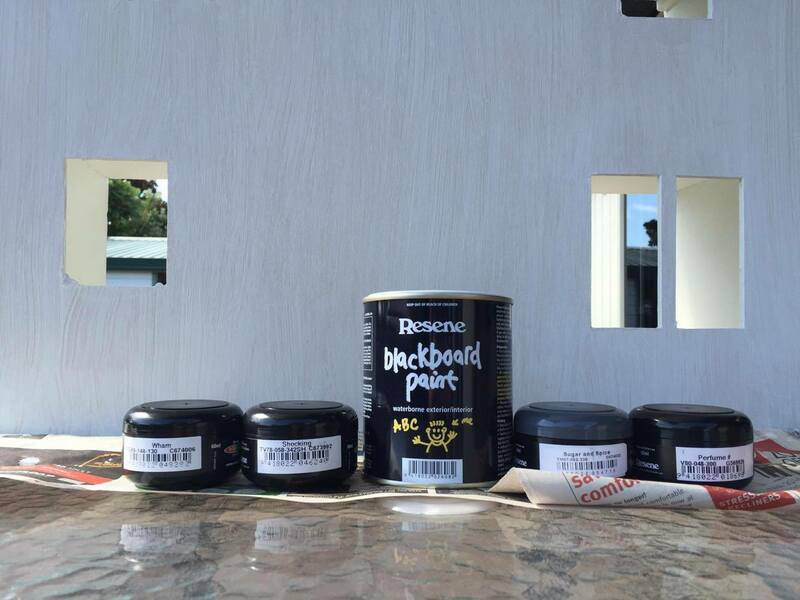 Which lead me to think of black chalkboard paint…….. I like the idea that she can make the dolls house her own. Draw pictures, patterns on the roof to really personalise her house. Perfume this colour reminds me of Sofia the First! I was spoilt for choice, so I just decided to go for girlie colours I knew Little Miss would love and I picked a green because I thought I needed to break up the pink! Firsty I found some white undercoat in our garage (from a project a few years ago) and painted the whole house with it, just one coat. 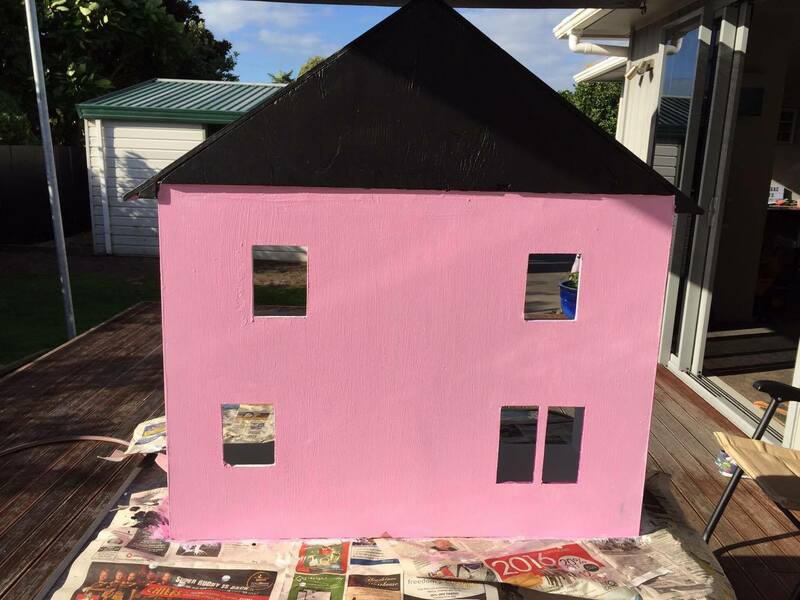 I then painted the roof in the chalkboard black paint and the outside of the house pink. I decided I would make each room a little different, more on that next time. If anyone has any tips/tricks or suggestions I would love to hear them.